I've never chosen a "word of the year" before. In the past, I've shared 16 things I was excited for 2016, or 17 things I was excited for in 2017. And while I'm still just as excited about 2018, as the years grow I find myself stretching and throwing things in solely just to fill the number in. But I am trying to avoid that in my life: to do things just because. I'm working to prune and invest in things that really, truly matter. 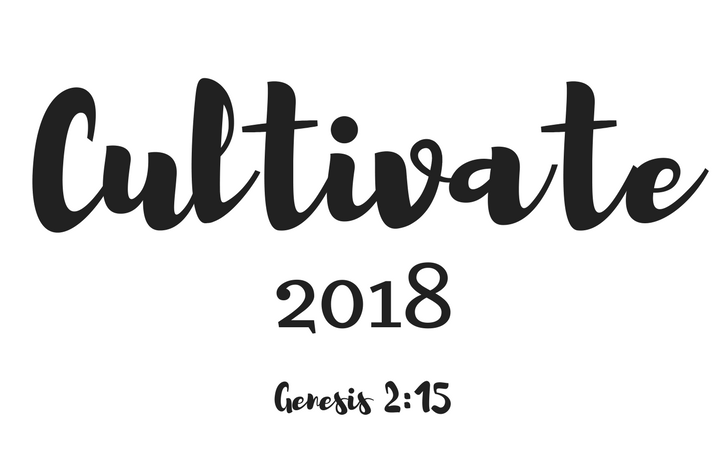 Which leads me to my word for 2018: CULTIVATE. This word first popped into my head on our little Napa Valley getaway. Aaron and I were talking about our goals and dreams for the future, and I just couldn't shake this word from my head. I want to cultivate so many areas of my life: my friendships, my family, my faith, my health, our goals, and more. Yes, cultivate has an association with gardening. One of its definitions is to "prepare and use land or crops for gardening". Another is "to break soil in preparation for sowing or planting". And yet another is to "apply oneself to improving or developing". Aaron's dream (and therefore mine too), does perhaps involve gardening of some sort, but there is much more to this word than just tending to plants. I love the idea of the work that happens before things are "planted": the figurative breaking of the soil. I feel like I'm breaking the soil in so many areas of life right now: not really sure of what all I'll plant or how it will grow, but breaking and tilling the soil the same. I definitely can get behind the definition of applying myself to improve or develop. Not that I need to go out and start a bunch of new things right now, but rather that I need to prune and invest in everything that I already have. I need to go all in with a focus on things that really matter, and to really focus on nourishing those areas in preparation for all that is to come. I need to be open to what's next. I'm not really good with change, not typically good with discomfort, not a huge fan of chaos. I like things to have a role and a place, and I like them to stay in that place. But I'm learning that chaos and some hard pruning and change sometimes has to happen before we reach beauty and order. So I'm living in that chaos and discomfort, dreaming towards the future while asking lots of "what if" questions, and choosing for this year - 2018 - to focus on cultivating. Because that's what I'm called to in this season, and that's what prepares me for the next season. I love the word you picked! I am the same exact way as you, I to know what is going to happen & plan things out! I am due with my first baby this year, so I am thinking I need to take this word, and run with it. Since I know things are about to change for the better! Thank you so much! Best of luck to you! I can't believe my little man is about to be one. It truly has been the best year!! Your word of the year is so inspiring! I never really thought about using cultivate before but the verse really hits home and what you said about not being good with change and discomfort-all that is so me! Thank you so much, Leslie! It is hard to feel the discomfort for sure, but I really do feel like this verse speaks to me! Such a great goal and word for 2018! 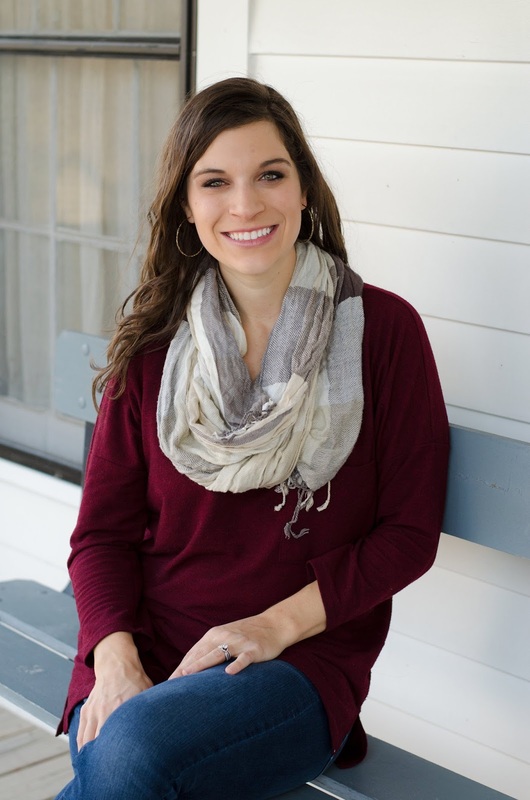 I love what you said, "I'm working to prune and invest in things that really, truly matter." So important! I have a word for 2018, commitment. Finishing what I start and chasing after my goals wholeheartedly this year! Thank you so much, Natalie! I love that word for 2018! Great choice, Kelsie! It speaks to being a work in progress. True for each of us. I know it's true for me, anyway! I'm SEEKing this year ... based on Matthew 6:33. I love how God gives us a word to hold and apply. Blessings! Thank you, Deb! Always such an honor to have you in this space. It's so true for me- totally a work in progress. I love that you are seeking!! I love that word! I have never chosen one word for the year, and I’ll need to give it some thought, but now I want one!! I haven't really done it before either, but I like this word for this year! Haha, I love that! No one said you couldn't have two words! Thank you thank you!! I love intention. That's a good one!